2. you didnt exactly explain what the video is about, a random surfer such as myself needs a quick explanation about what i click. 3. i love your blog, tech is so cool, especially the entry about microsoft hiring the band ‘press the green button’ to make four songs. i checked the MS site and they say they do have four songs but only two were available for download, so i got the other two from your blog. i love those sons, so thank you much! i now have my windows media center dancers on the screen, now im going to go play with party mode! 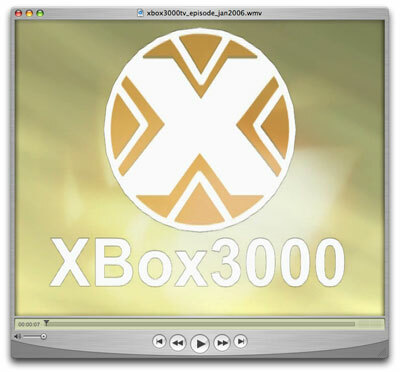 Xbox3000 TV is a tv show made by fans and spread entirely via the internet.